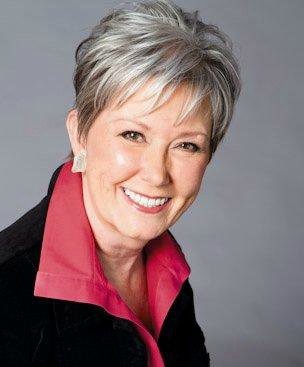 When I first met Donna Cunningham, she was helping run the framing shop at 926 Main Street. Her talents and eye for design were undeniable. Donna had run an Etsy shop (which she still does) and had visions of expanding the offerings in the store. That dream of providing more options came to fruition when the frame maker moved to another location and offered the Main Street store to her. "Donna's by Design" was born. 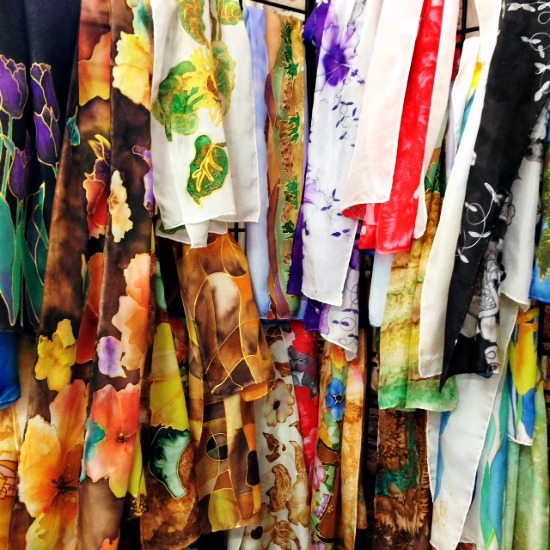 Constantly on the lookout for unique and one-of-a-kind art, Donna has choices for every budget from $5 to $2,000. 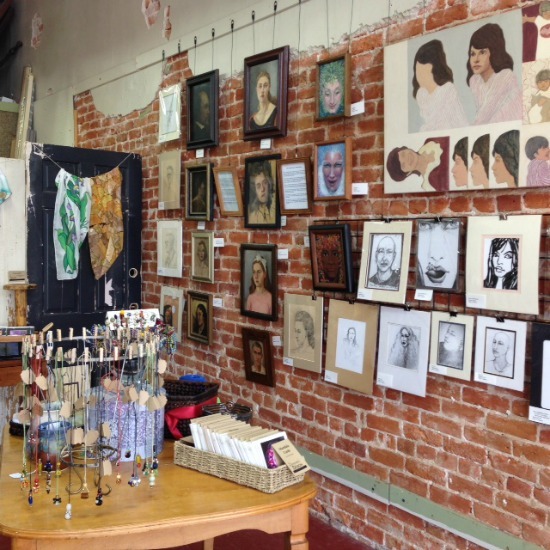 All of the merchandise is artist-made and run a dizzying array from jewelry to glasswork, woodworking to fiber arts (including beautifully hand-painted silk scarves), bags and purses, ceramics to art prints, Piney Creek lusciously scented candles to custom dolls, glass beads to postcards. Her stock of Bastrop handcrafted souvenirs is growing and becoming quite popular with those who visit Main Street. Because I am a huge fan of sending personal notes, one of my very favorites is her large assortment of unique cards. 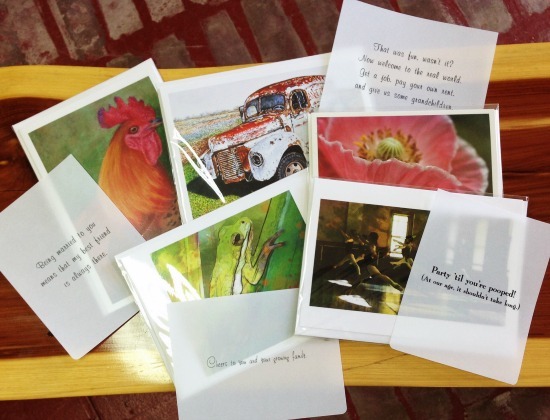 You get to select a card from a range of cards and there's a huge selection – florals (both painted and pictures), contemporary designs and traditional artwork. Once you've chosen your cards, Donna has inserts you can add to your card. From a file and depending on the orientation (landscape or portrait), you can choose a sentiment to customize your choice: birthday, anniversary, get well, sympathy or just "keeping in touch." If you're REALLY nice, she'll even position them on the cards you've selected and – voilà! – you're ready for just about any occasion that comes up! I have a stash of these, both with greetings and without, so I am always prepared. 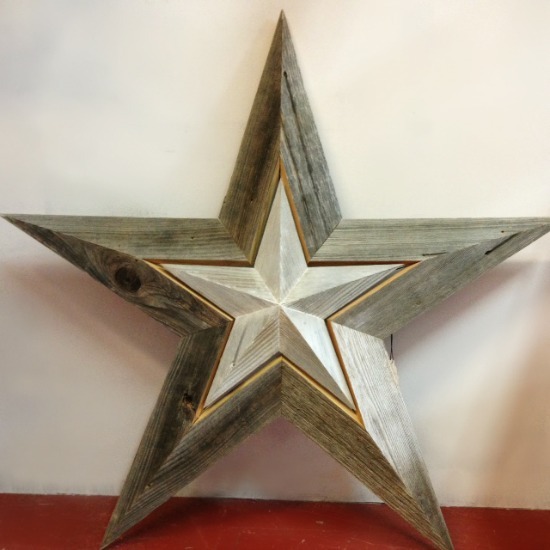 One of the newest additions to Donna's offerings are custom-stars crafted from reclaimed wood and cedar. Lone stars are probably the most Texas thing one can find on buildings and in décor, but these are new and different and quite affordable. Anyone can buy a plain black wrought-iron star, but these are like nothing you've seen before and are sure to grace your home or be a welcomed gift for anyone. Donna's always on the lookout for new, different and exclusive items that will fit any price range. If you're looking for something that will set you apart, this is your spot! 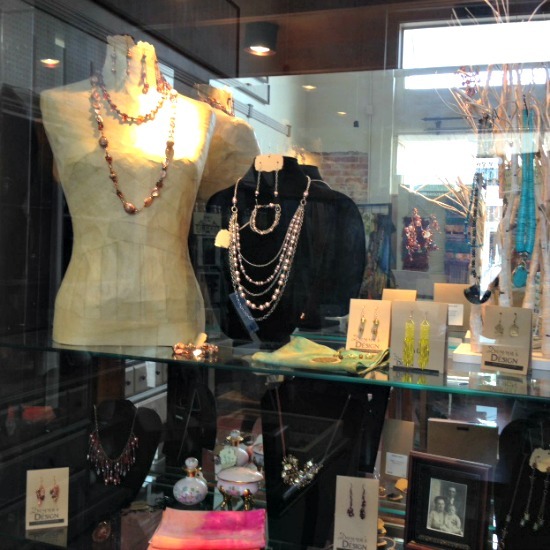 Donna's by Design is located at 926 Main Street in downtown Bastrop, Texas. Hours are Monday through Saturday 10am-5pm. For more information, call the store at (512) 308-2018 or visit them on Facebook here.